Q: What is the school’s policy about supporting charities? There is no East Lothian Council policy which schools have to follow. 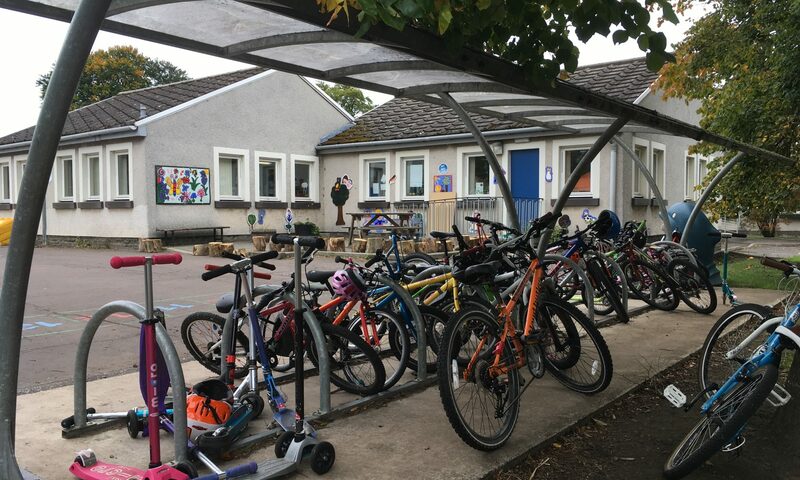 Pencaitland Primary does not have an official policy but it aims to support one main charity each year. The school also support seasonal events such as Children in Need, Comic / Sport Relief and each year the produce from the Harvest Assembly is donated to a suitable cause / charity. Often a charitable cause is highlighted by pupils. Q: How does the school choose which charity it will support? The school is approached by various charities each year. The school makes a decision about which one to support by looking at the merits of the charity. The school involves the children in making its decision. A: Parents mostly make up this team which represents the views of parents to the school, but there are also teacher and co-opted community representatives. The Head Teacher also attends meetings and local councillors are invited. It also has a paid Clerk. Our role is advisory and consultative. We input into school policies and plans. We work in partnership with the school and its development plan. We actively encourage the involvement of parents with school life and seek to improve communications between the school and parents. The parent council is supported by the Local Authority to develop, understand roles and ensure relevant training is available. A: This is the abbreviation of the Parent Teachers Association. This group organises events and fundraises for the school. The PTA at PPS has organised various events over the years, including the main sources of income to the school year after year. As well as events, there is now also The School Lottery which can be subscribed too very simply. The PTA pays for important extras that the school cannot, but more than that, they bring the current, future and past school community together with events like the Family Fun Day (previously known as The Spring Fayre) and formerly, the annual Fireworks display. Sadly, the latter was negatively affected by other free fireworks displays in the surrounding towns and the difficult problem of people watching but not buying tickets to enter the field and so this event no longer happens. Undeterred, the PTA has continued to create great fundraisers and also works closely with the Parent Council. Both collaborated very closely for the 40th Anniversary in May 2016 – resulting in a week and more of wonderful, meaningful and happy events. So – they also “make memories’! Q:What is the PPS tuck shop? [Old information, now only available on Fri break and supported through staff member]. A: The tuck shop is separate from the school canteen. It is operated by the pupils and mainly sells “healthy” snacks – oatcakes, breadsticks, fresh fruit and veg. Wikipedia tells us that the term “tuck” meaning food, is slang and probably originates from such phrases as “to tuck into a meal”. The menu and prices of the school’s Tuck Shop are now published on the blog as we thought this information would be useful to you.